The big moving day is coming for your office and you want things to go smoothly. You need to do some planning if you want to achieve this as well as some diplomacy. First of all, have a meeting with your staff about the move. Where the new location is so they can schedule their arrival times. Give a date for the move so that they can prepare to handle all their affairs ahead of time. Make sure each staff member’s concerns are addressed so there’ll be no confusion of what they’re expected to do. Do an inventory of all the office furniture, machines, equipment, wall art and anything you wan to take with you. You’ll need to list all of these and keep copies digitally for easy access. If your staff has objects like plants and art and even desk toys, have them itemize them all and pack them securely and labeled clearly. For plants, they take special care and ask your moving company if they do move them, if not it will be up to you as to who is responsible for transporting them. When choosing a moving company ask them for all the particulars involve din moving. 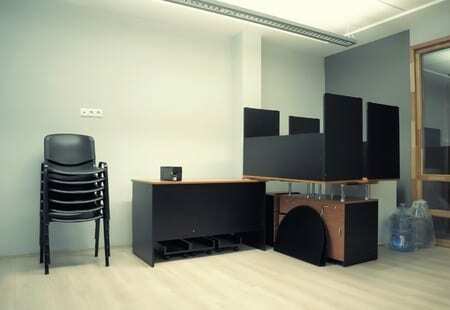 This can be wide ranged such as protective covering for certain office furniture and other objects, how to store computers and other equipment and how to label them if need be, and any and all preparations you will be responsible for. They’ll give you a schedule to follow and make sure your staff knows this schedule down to the minute. No one wants a rush job of packing and moving and confusion or it will cost you even more money. Ask about insurance coverage and make sure they’re a certified moving company, not some referred to company by the hot dog vendor down the street. You want professionals or you could end up in all kinds of trouble. An uninsured moving company can cause damages that you’ll end up paying for. Once you’ve assured yourself that your chosen moving company is legit and they’ve given you all the guidelines for the move, it’s time to inform your customers ahead of time of your new move. If you have websites, then just update them via your blog or mailing lists and postal correspondence if need be. Put up a sign both outside and inside so that customers and clients will be aware of the pending move. All notices should have time and place and contact information on them. Some clients may find your new location a bother to travel to if you suddenly up and go without notification. Next is to handle all business cards and other public notifications. Some companies have promotional materials and merchandise like t-shirts and so on. Cancel those and update them and get them out asap so they’ll be in circulation. The big ticket items are the office furniture. You’ll either be moving your existing furniture or buying new items or a mixture of both. You wan them protected and easy to move so make sure your moving company knows every detail. You might want to schedule the arrival of your new office furniture with your existing items when the moving company arrives at your new location, this way you’re killing two birds with one stone. The moving company can then move all your items at the same time. Remember, you’ll have to help them with a guide plan as to where to place the furniture. You don’t want them to just dump it in the main room and go home. Have one drawn up with each item labeled and what position to put them in so that seating and access is correct, especially for furniture where electrical items like computers will be used. Have all necessary staff at the move in location who will help with the operation and if possible put up a ‘In Business’ sign outside so as to add additional help to present and future customers. Moving to a new office shouldn’t be a major chore. Just some planning and good sense and things should go smoothly.